Comprehensive thinking about soccer training allows development of exercises that will train technical skill, tactical awareness, physiologic capacity and psychologic loads. This type of training is very economical, efficient, and effective. Isolated thinking (using an agility ladder to develop agility) leads to isolated skill development and while not harmful is significantly less helpful when it comes to application to the real game. Below you will see simple examples of how to develop reactive agility using another player or a soccer ball. In all of these activities, players have an opponent, can score points, have to problem solve, change directions rapidly and frequently in response to the other player or the ball, and incur a physical challenge to the nerve-muscle system. Movement characteristics should include keeping weight on the balls of the feet, bent ankles, knees, hips, maintaining a shoulder-width stance as often as possible, and reading the offensive player or watching the ball. Most players will naturally do this simply by asking them to, "Try to fake out your defender," or "Keep the offensive player in front of you at all times." The exercises are quite fatiguing, so 20- to 30-second bouts followed by 60 seconds of rest are recommended. Players alternate roles after the rest period and repeat four to six times. 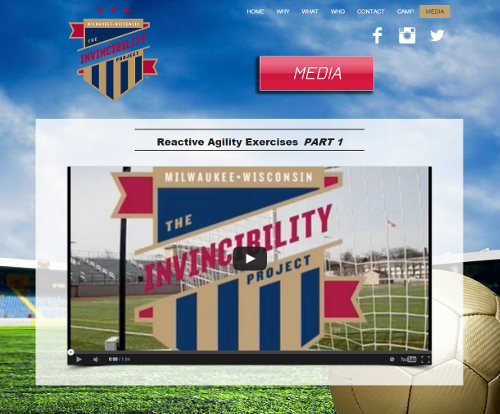 Click below to watch Reactive Agility Exercises Part 1; how to develop real reactive agility and quickness using the ball and live players. Part 2 will be coming soon!